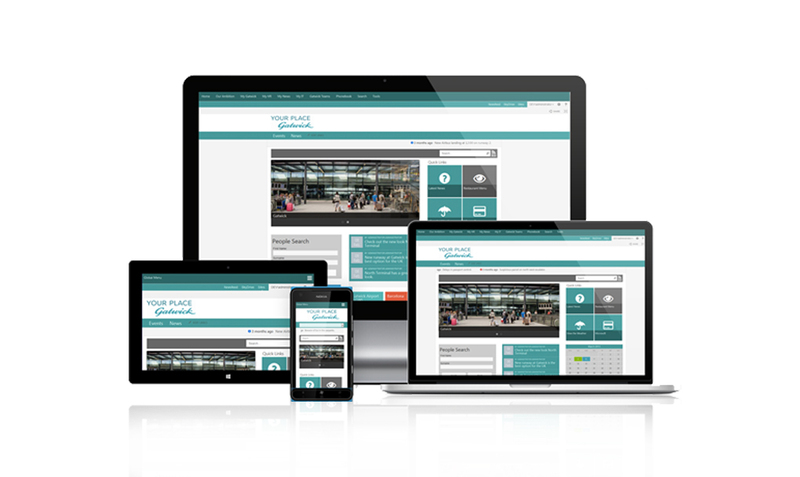 Snap Marketing were commissioned through ICS Solutions Ltd to design the top level intranet system for Gatwick Airport. The brief was to create a front-end intranet design that was to integrate with Sharepoint on-premises infrastructure. The brief was as follows: - Development of an online brand for Gatwick Airport Intranet & SharePoint branding - Creation of collateral to present the conceptual ideas to Gatwick Airport - Revision of the designs following feedback - Supply of the HiRes assets for ICS to generate the intranet pages - Creation of a Brand Icon/Image for "Your Place – Gatwick"